Over 250 people from Manchester celebrated the launch of Science Stroke Art 2014 on Thursday 1 May, with an innovative event at Manchester Town Hall to mark the start of Action on Stroke Month. Dr. Chris Steele, GP and This Morning’s resident doctor, hosted the evening which was organised by the Stroke Association in partnership with The University of Manchester. The night mixed music, poetry and visual art with short talks about stroke research and the latest in stroke treatment from a panel of speakers. Professor Dame Nancy Rothwell, President and Vice-Chancellor of The University of Manchester and a world-renowned expert on stroke, discussed the work of scientists at the University, while Professor Tony Rudd CBE, National Clinical Director for Stroke, NHS England, debated the changing face of stroke medicine. Poet Mike Garry performed and discussed his personal experience of stroke, after his father had a stroke when Mike was just five years old. Stroke survivors Mark Ware MFA, Pieter Egriega and Andy McCann also shared their own inspirational stories of life after stroke. 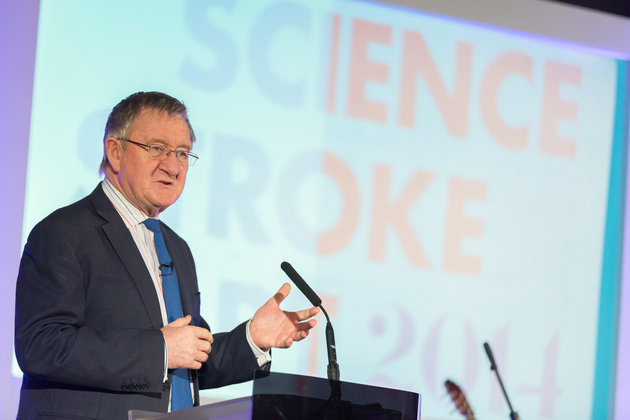 The event kicked off Science Stroke Art 2014, a series of engaging events in the city during in May. The programme includes interactive talks, music, theatre and live demonstrations, each designed to capture the public’s imagination and challenge misconceptions about the condition. Cultural organisations including Contact, Manchester Museum, Museum of Science & Industry and The John Rylands Library will host interactive events to raise awareness of stroke. The public can visit events including a human library and story-telling session with stroke survivors at The John Rylands Library, a performance at the Contact Theatre by stroke survivor Peggy Shaw, and a pop up workshop at the Museum of Science & Industry, to help demonstrate the impact of stroke on the brain. For more information about Science Stroke Art 2014, visit www.sciencestrokeart.co.uk. For more information about stroke, call the Helpline on 0303 30 33 100 or visit www.stroke.org.uk.